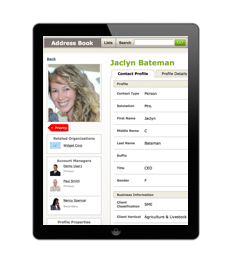 Manage the names, faces and detailed profiles of your clients and business partners using your company Address Book. Choose to define up to 1000 custom fields, so you don’t miss out on any valuable client details. 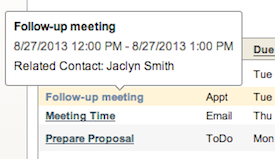 Keep track of your ongoing communications with your clients, from phone calls to emails. 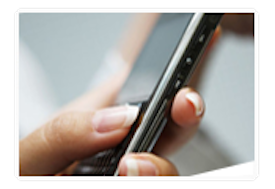 Every interaction, whether electronic or in-person, can be seen from the client’s profile. Record your interactions from anywhere! When leaving a meeting, add a note to a client’s file in minutes by emailing a video, audio or text file directly to their contact folder. 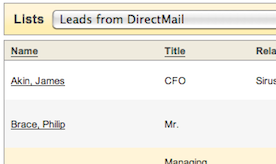 Create custom client lists quickly using any field in your contact profile. Do you want to see the manufacturing industry prospects in your region? No problem!